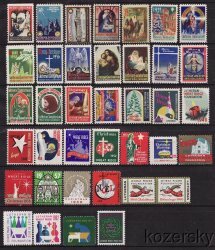 Wheat Ridge 1028-64, Wheat Ridge Lutheran TB Charity Seal Collection, F, MNH. 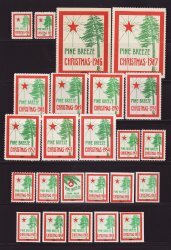 This seal collection contains 37 different seals, which were issued from 1928 to 1964, by the Lutheran Sanitarium, Wheatridge, CO.
Chattanooga Pine Breeze Tuberculosis Sanatorium TB Charity Seal Collection, full gum, F, MNH. Issued 1944-67 by the Chattanooga Tuberculosis Sanatorium Association, Chattanooga, Tenn., which operated Pine Breeze Sanatorium. 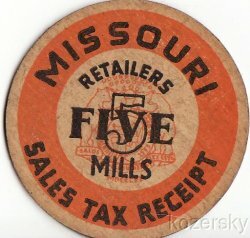 Missouri 1194A.2, Missouri Sales Tax Receipt Token, Support TB Patients. Issued 1937 by the State of Missouri to "...support Tubercular patients in State Hospitals and relief of Needy Unemployed in the State of Missouri." 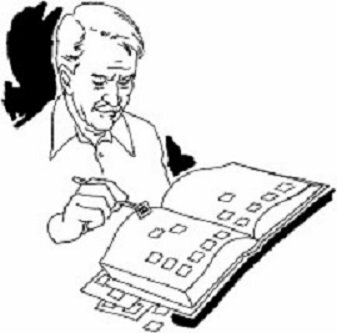 Grace Lutheran 670-705. 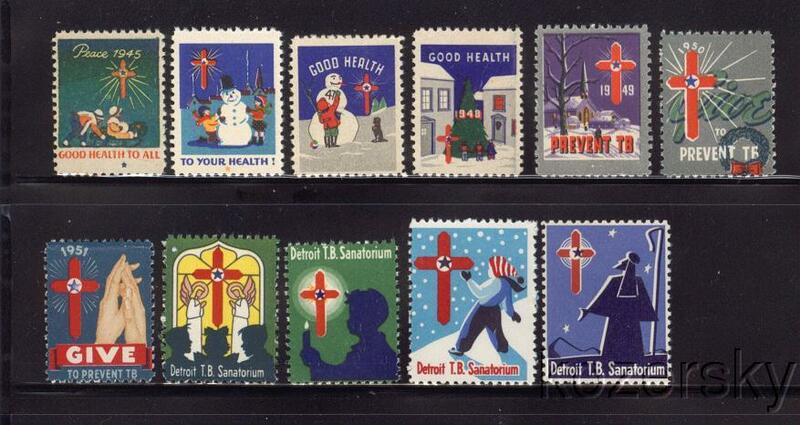 Grace Lutheran Sanatorium TB Charity Seal Collection, F, MNH. 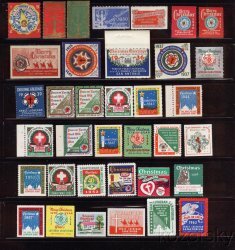 This local seal collection contains forty (40) different seals, which were issued from 1927 to 1966, by the Grace Lutheran Sanatorium, San Antonio, TX.